The saying “there’s more than one way to skin a cat” is a terrible expression (those poor cats), but makes the point that most problems have more than one solution. 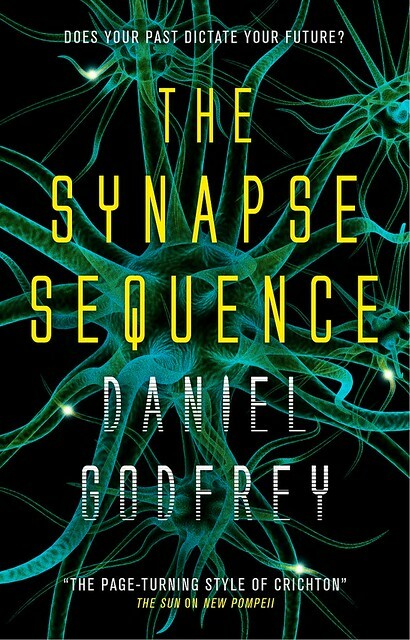 In the high-tech world of Daniel Godfrey’s novel The Synapse Sequence, there are very specific problems with more than a single solution, and as Godfrey explains, there’s drama in the difference. Beta-Max, HD-DVD, Mini Disc. All perfectly fine technologies that, for one reason or another, didn’t manage to change the world. Sometimes the competition was better; sometimes the opposition was just more prevalent, or the new idea didn’t offer a big enough edge over an established system. This issue of every problem having multiple solutions was playing on my mind as I was developing The Synapse Sequence. All the science journals I read were telling me that there are going to be big changes in law enforcement (and other fields) as a result of the deployment of Artificial Intelligence (AI) and the harnessing of Big Data. These changes in the approach to detecting and reducing crime are going to be as big as the forensics revolution (which itself would have been science fiction not too long ago). For instance, it may soon be possible to use chatbots to interview witnesses and suspects, with inbuilt software to detect the vocal oscillations indicating stress (or lies). AI could be used to assess crime scenes, and direct police officers (or bots) as they search for clues – and make connections between evidence collected at different sites. Video feeds could be actively monitored looking for patterns of suspicious activity, or to seek specific faces within a crowd. And automated systems could be used to allocate police resources. Many of these things are already being deployed, albeit in a basic form, in different parts of the world. As I read these pieces, I became increasingly impressed by the potential. But then it struck me: if such systems are going to become so good at their tasks, would there be room for any other approaches? And could a novel examine some of the ‘pros and cons’ of these approaches, rather than simply present a critique of a particular technological deployment. 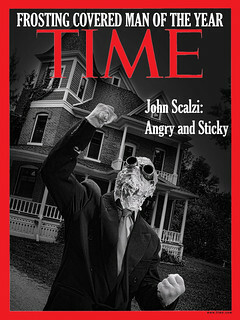 The way I tackle near future science fiction is generally to take one aspect, and push it as far into the fantastical as possible, and then develop the rest of the world from things that are already happening but haven’t quite yet made it into the everyday world. So the police using AI was to me a given: if writing about crimes taking place in the near future than it has to include AI. And the fantastical element? That had to do with memory, and being able to see a scene as the witnesses to a crime had actually seen it. The Synapse Sequence is built around two such competing technologies. Firstly, the system used by the police (AI and algorithm based) and secondly a system which allows an investigator (our hero!) to enter the memories of witnesses. 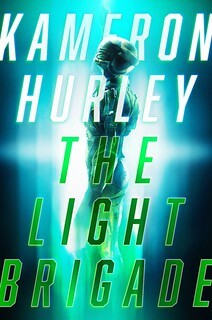 When the only witness to a kidnapping is a boy locked inside a coma, the two technologies go head-to-head to try and find a missing girl. My protagonist, Anna Glover, is a former air-crash investigator who lost her job when technology meant fewer and fewer planes actually fell from the sky. I wanted someone who wasn’t a traditional detective, but had all the problem-solving skills required. With employment prospects rapidly diminishing as AI take over more and more jobs, Anna becomes committed to developing the Synapse Sequencer to show the value of getting more information about ‘why’ a crime happened, rather than simply focusing on ‘what’ happened. I submitted the final novel to my publisher, Titan Books, in mid-2017 having pitched it to them over a year earlier. Interestingly, as the publication date came closer, I saw journal articles showing how the images a person is looking at can be recreated by computers monitoring brain patterns, and which have been trained against an image library. Others articles told me how scientists are getting closer to understanding how memories are stored and written. Some of these academic pieces were openly discussing applications in policing. As such, the tension of which approach works best may be closer than we all think. Whatever the outcome, I think the era of the traditional detective working his hunches may be at an end.